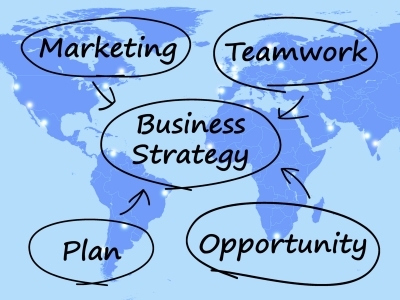 Have you got what it takes to plan a business strategy? Every single trusted business carefully plans its own strategy for a medium to long term growth. Have you planned for long-term without reaslising you’ll also need a shorter medium-term plan? We offer flexible and operational services and business consulting guidance to help you identify where your business should be in the next 6-12 months. How many Internet readers or social media users have you converted ? The usual answer – I don’t really know..
How can you improve something you cannot see or control? Should you also consider developing external strategies? Who’s responsible for coordination and promotion if you sell on-line? – how should you communicate with users and how to control it? Should you have a Key Performance Indicator (K.P.I) for every single department? One more reason to keep things under control is that during this very difficult economic climate, businesses should adopt short term strategies, and should revise and update as often as possible the financial forecast showing how much they need to invest in order to get a positive ROI after six months. Doing predictions helps you understand where you should concentrate your efforts and also keeps the banker away. Another important aspect of you strategy is – if you work with close partners you must create a formal document to show how much money their business will bring in each quarter during the next 12 month period – you can createthe 80/20 rule (known as the Pareto principle) that shows that 80% of your sales comes from 20% of your best customers. All the above must be integrated through your internal and external services. 1) Focus on your Market – or particular market segment or find one niche product. 2) Differentiate from close competitors – analyse them, sell better quality service or something unique to your market segment. 3) Implement and communicate your plan -Lead and communicate by sharing your vision, improvements to be made, write and educate with best practices via a communications plan. 4) Overall control & leadership – Follow KPI’s and maintain high returns. These are the key elements for a medium long-term success – changing and improving strategies within departments of your business is not a one-time project. It has to be a continuous and dynamic process that requires time, planning and methods. Of course, you can always improve your strategic plan yourself, but do not put aside the idea of getting some initial help to guide you along the set-up phases. A professional consultant can really make a difference by showing you how to prioritise actions and time by highlighting where to begin. And who knows it could save you £££’s and above all terrible business mistakes. 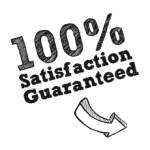 We offer one hour (free) phone consultation plus report.